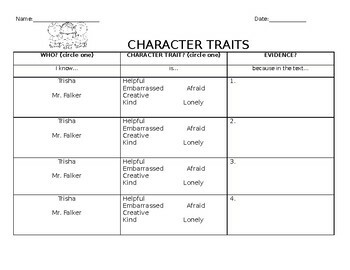 This is a character trait worksheet where students are asked to provide evidence. This gives students a choice of character and traits and they have to give evidence. The worksheet is based on the text Thank You Mr.Falker but can be edited to any text. This file is a .docx and can be edited.